When your eyes linger over the new Sagano Series, it’s easy to understand why the range has become so popular, so quickly. 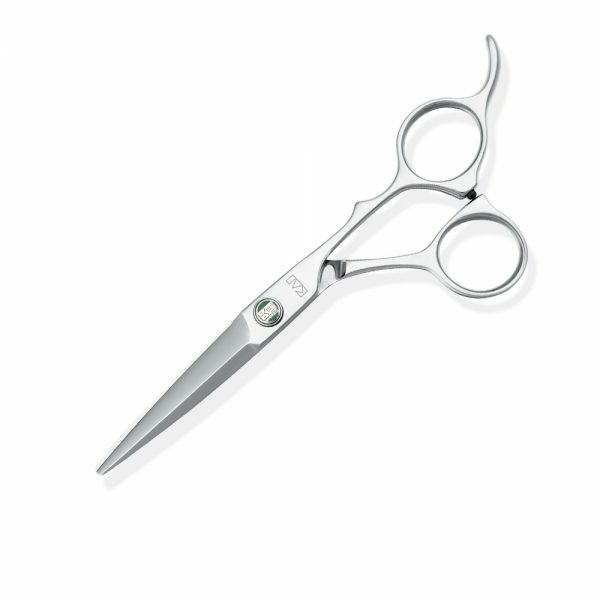 Sagano shares the features for which all KASHO scissors are valued like the superb steel alloy, mirror polished to a lustre. The KASHO Ultimate Edge of the finely honed blades. And the ergonomic shaping with the camel back and offset handle, for effortless performance. Sagano stands out, too. The curved finger rest is forged in the traditional manner, to add graceful appeal. Sagano shares the Damascus ball bearing systemintegrated with Flat Screw Technology, tastefully inlaid with green ceramic, ensuring each cutting pass is smooth. Sagano offers effortless power with stylish distinction.